OSAKA - A newly energized Osaka Ishin no Kai (One Osaka) emerged Monday following strong victories in Sunday’s local polls that gave it the governorship, the Osaka mayor’s office, the prefectural assembly and an increase in municipal assembly seats just two shy of a majority. With Osaka Ishin now firmly in control of the local political scene, Liberal Democratic Party and Komeito officials, reeling from their losses, are wondering if Sunday’s results will translate into losses for their own candidates in Upper House elections set for July. At the same time, Osaka Ishin officials made clear Sunday and Monday that they will increase the pressure on former coalition partner Komeito, in particular over the question of whether to merge Osaka’s 24 wards into four semiautonomous zones and do away with the current structure of the city council. Osaka Ishin has long championed the move while Komeito, along with the LDP, have opposed it. “The key will be, how does Komeito take the election results? We’ll explain the Osaka merger in a polite way, but they need to take into account how Osaka voters have spoken,” said former Osaka Gov. Ichiro Matsui, who heads Osaka Ishin and on Sunday won the election to become Osaka mayor. Komeito officials acknowledged that Osaka Ishin had scored an impressive victory. “We have to accept that voters’ hopes for Osaka Ishin are high,” said Shigeki Sato, Komeito’s prefectural chapter head and a Lower House member, early on Monday. He added that he wanted a fair and just discussion on the merger issue. The final count in the gubernatorial election showed that Osaka Ishin-backed former Osaka Mayor Hirofumi Yoshimura, 43, defeated LDP- and Komeito-backed Tadakazu Konishi, 64, by over 1 million votes. Osaka Ishin also won 51 of the 88 prefectural assembly seats. In the mayoral election, Matsui, 55, defeated LDP- and Komeito-backed Akira Yanagimoto, 45, who has now lost the mayoral race for the second time, having been beaten by Yoshimura in 2015. While Osaka Ishin did not quite capture a majority in the 83-seat municipal assembly, the party won 40 seats. LDP and Komeito assembly members are also aware that Matsui is extremely close to Prime Minister Shinzo Abe and Chief Cabinet Secretary Yoshihide Suga. Sunday’s results were a notable triumph for Matsui. With the city needing cooperation and financial support from the central government for the Group of 20 Summit in June, the 2025 World Expo, and a possible integrated casino resort, he will negotiate with Tokyo and is well-placed to have top LDP and Komeito officials in Tokyo pressure their Osaka chapters to change their stance on the merger issue. While the main issue on Sunday was Osaka Ishin’s merger push, part of the party’s success may be in the way it promoted Matsui and Yoshimura to voters as successful international diplomats who are responsible for winning the expo, and the party itself as economic innovators putting forward policies that have greatly boosted tourism to a region not traditionally seen as being as popular with overseas visitors to the same extent as Tokyo or Kyoto. LDP officials scoffed at such suggestions during the campaign, saying Osaka’s expo win was due to diplomatic efforts by LDP leaders like Abe and Economy, Trade and Industry Minister Hiroshige Seko — who was born in Osaka and represents a district in Wakayama in the Upper House. For the local LDP, Sunday was a shock. Among those who lost their seats to new Osaka Ishin members was Mitsuyoshi Hanaya, the LDP prefectural chapter’s secretary-general. Hanaya had been the party’s most visible opponent of Osaka Ishin’s merger efforts. “Our efforts at the local level were weak. It’s clear the Osaka merger plan has no merit. 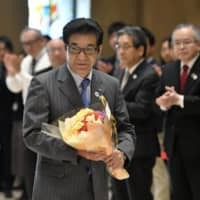 We aren’t changing our stance of fighting it,” said Hirotoshi Kawashima, vice secretary-general of the LDP’s Osaka municipal assembly chapter, late on Sunday. The results were also bad news for one of the most powerful national LDP officials, Secretary-General Toshihiro Nikai. 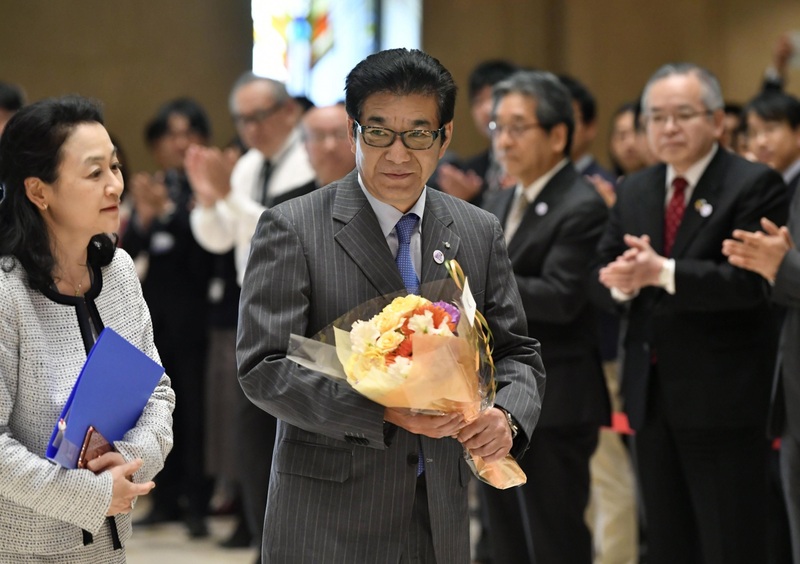 Prior to last month’s decision to hold a gubernatorial and mayoral election alongside assembly elections, Yanagimoto, the LDP and Komeito’s mayoral candidate, had been slated to run in July’s Upper House election. He was aiming to replace his uncle, Takuji Yanagimoto, a member of Nikai’s faction. The younger Yanagimoto remains a potential LDP candidate for the Upper House despite his defeat on Sunday. But how he will fare against an opponent from newly confident Osaka Ishin’s national party, Nippon Ishin no Kai, is uncertain. A connection with Nikai, who kicked off campaigns for Yanagimoto and Konishi but saw a Japanese Communist Party candidate defeat an eight-term LDP incumbent in his hometown of Gobo, Wakayama prefecture, could also prove to be a liability with Osaka’s younger urban voters.